Create templates of the top pages in an eCommerce funnel, incorporating best practices and experience. GobySavvy is a UX agency that conducts heuristic evaluations and offers UX design and user testing services. Many clients are eCommerce small to medium-sized businesses that have similar usability issues and want to adopt best practices, so our deliverables often have repeat content. 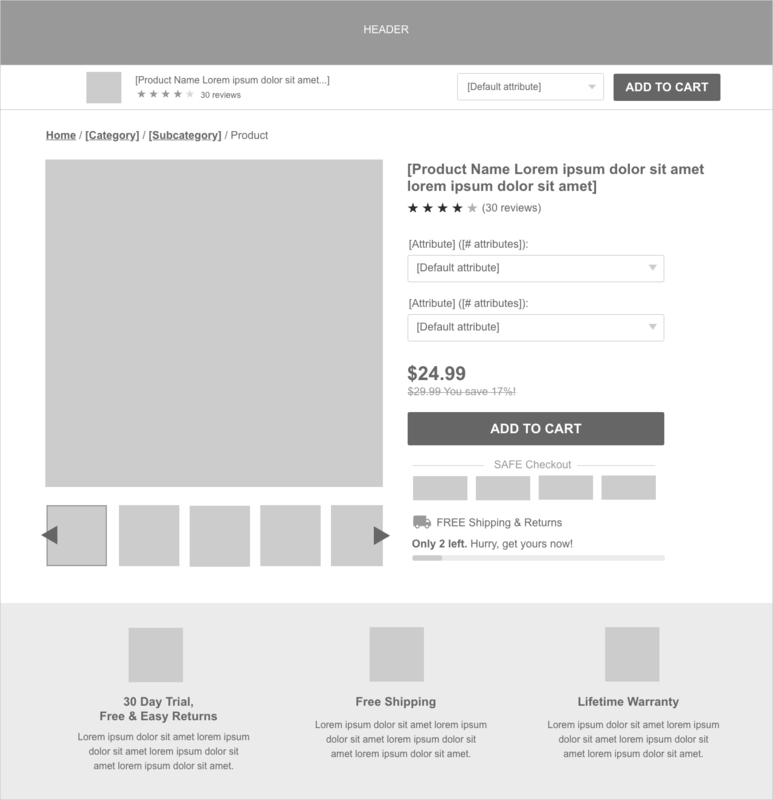 I developed UX design templates of all of the top eCommerce pages. 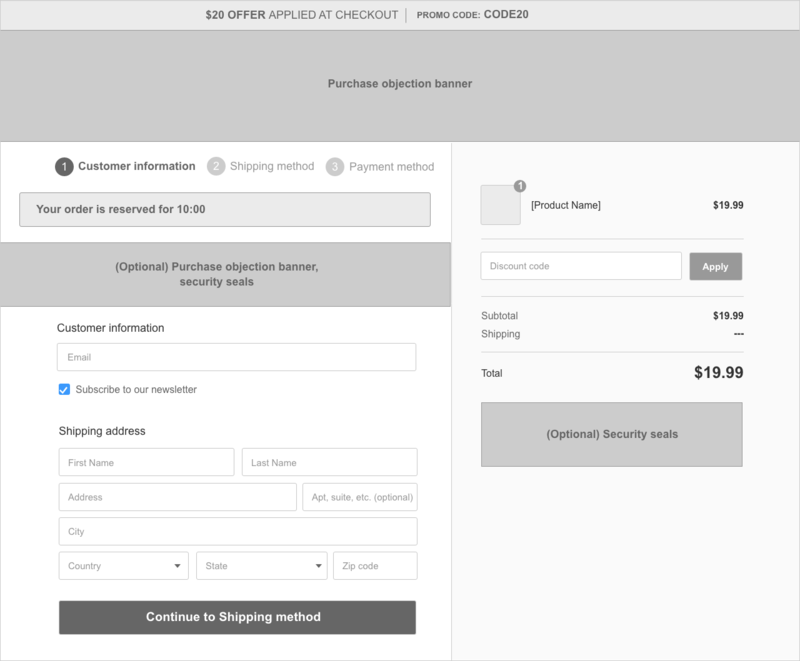 This included the home page, category page, product listing page, product detail page, cart, checkout, and post-purchase upsell page, for both desktop and mobile. As new research and helpful plugins/tools are discovered, I add them to the template.